One of the things that challenges me when I’m sewing is my constantly fluctuating weight. For the past year (or a bit longer), I’ve been making an effort to lose some of my excess weight, and for the most part, I’ve been successful – to the tune of 40lbs (18kg), actually! It’s not such a mighty achievement as it might seem, given that I’m 5’1″ and need to lose the same amount again, but I’m still proud of it. As you can imagine, though, having constantly changing weight is a seamstress’ nightmare. In addition to have a (generally) downward trending number on the scales, I also tend to hold a lot of water weight at certain times of the month – particularly in my bust, which can go up a whole cup size! I’m sure I’m not the only one dealing with these kind of problems, and I wanted to chat about some of the things I do to try and make sewing garments that fit as smoothly as possible. 1. Measure, measure, measure. I measure myself before every sewing project. I used to not be as vigilant with this and just use vague memories of the last time I measured, but after a few ill-fitting garments, my tape measure is my best friend. I just take bust, waist and hip measurements, but note down whichever ones work for you! And no fudging the numbers – that’s not going to help you when you’ve finished a pretty dress and you can’t squeeze into it. Trust me, I’m speaking from experience. 2. Sew for the size you are now, not the size you want to be. For a while, I was sewing clothes that were so tight I could barely zip them up, figuring that once I lost a few more pounds, they’d fit nicely. And in theory, yes, this could work, but in practice, chocolate emergencies happen and said small dresses are pushed to the back of the closet as a sad reminder of too many yummy cakes. You’ll feel much happier in the clothes you make if they fit well, and if they get too big, well, it’s a lot easier to take clothes in than it is to let them out! 3. Muslins, toiles, or whatever you want to call them – for me, they’re not just a good idea, they’re a necessity. I always stock up on old sheets from Goodwill or really cheap fabric so I can mock up bodices and the like before cutting into my fancy fabric. 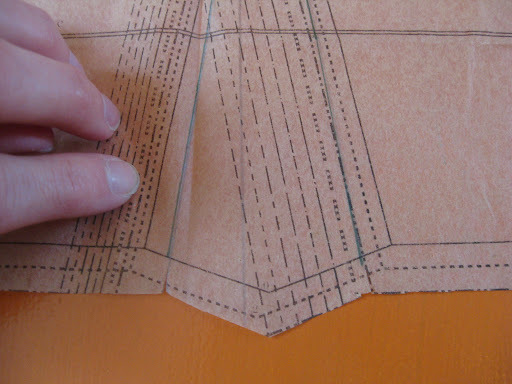 Sometimes I’ve had to make two or three before I’m satisfied with the fit – but it’s the only way that you’ll know how your garment will fit before you actually make it. I’m a big fan of wearable muslins, if possible – sometimes you don’t know that a dress will slip off your shoulders all the time until you’ve worn it outside for a day, or a skirt worn on the hips will gradually wiggle its way up to your waist. 4. Learn what styles work for you. I have an hourglass figure, so closely-fitted garments (particularly through the waist) flatter my figure much moreso than loose, shapeless clothing. I envy those that can wear a shift dress, or a empire waist, but if I don’t have something defining my waist, I might as well be wearing a sack. There are plenty of resources online to help you determine your body shape and what kind of clothes might flatter you, but trial and error is good too – for instance, a lot of books say to wear high-waisted skirts for an hourglass figure, but I find I don’t like how they emphasise my hips. Try out different styles and see what you like! 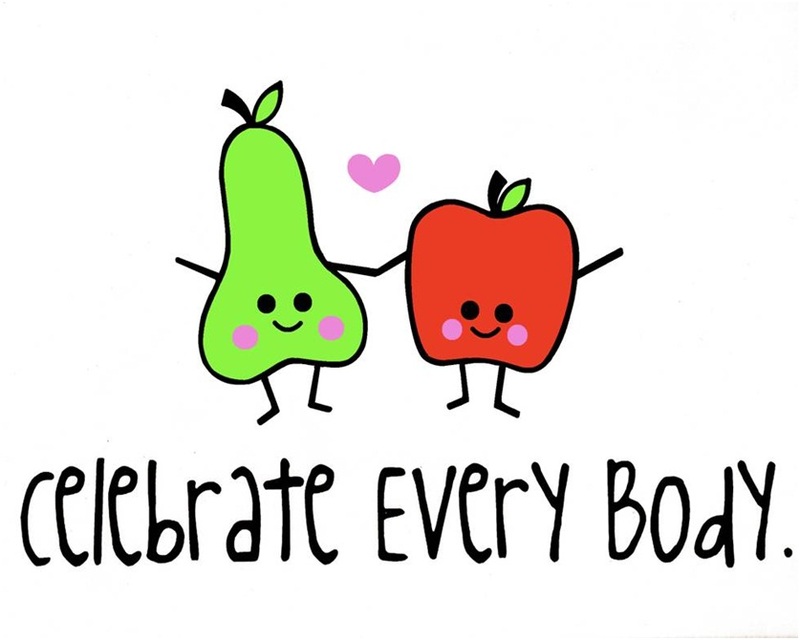 No matter what size you are, or what size you want to be, though, I think it’s very important to try and appreciate your body and to love how you look. Nothing makes an outfit look better than confidence, after all!